This entry was posted on Thursday, October 25th, 2012 at 1:24 pm	and tagged with Business, Elvis, Journal, Monkey, Petruccio, Presley and posted in The King of Rock n Roll. You can follow any responses to this entry through the RSS 2.0 feed. LOL I like it Joe! 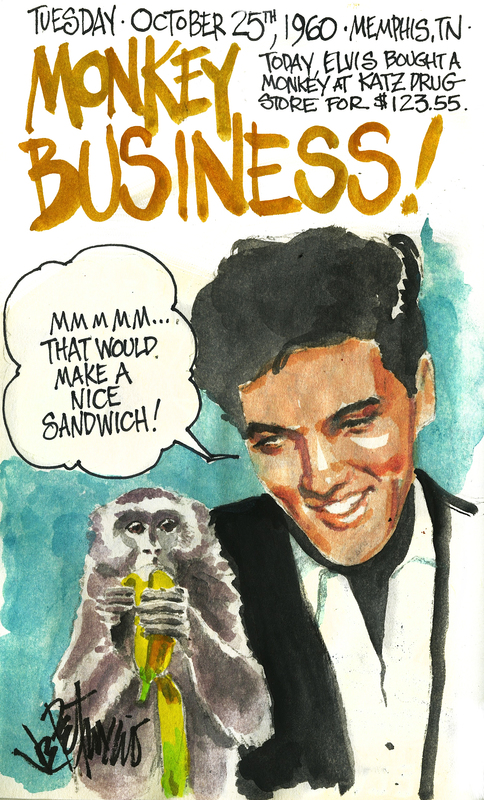 LOL… and that’s a beautiful picture of Elvis. Love to see him smile like that.